Learn how to add segments during the list import process. You may want to give certain designations to an entire list of contacts during your file import. For example, say you just attended a large trade show and collected email addresses from the contacts who visited your booth. You want to add them to your master list, but also flag them as coming from the trade show. You can do so by adding a segment during the import process using the List Import Wizard. 1. Navigate from the home menu to Contacts. 2. Then Import List Wizard. 3. 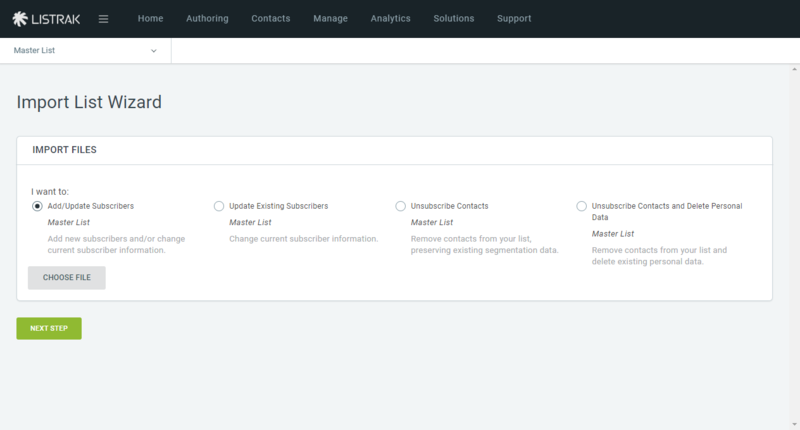 Select Add/Update Subscribers or Update Existing Subscribers. 4. Click Choose File and select the file to import. 6. Choose the data settings based on the file you are importing. 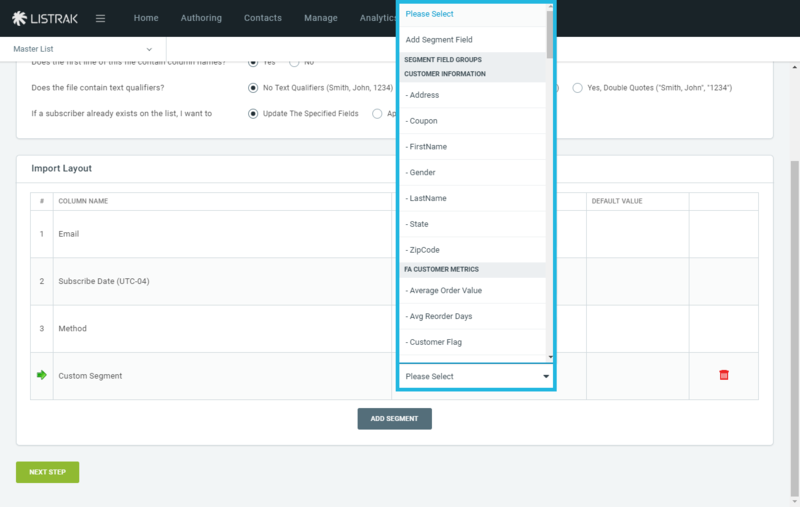 Choose the columns you want to import into Listrak, if any. 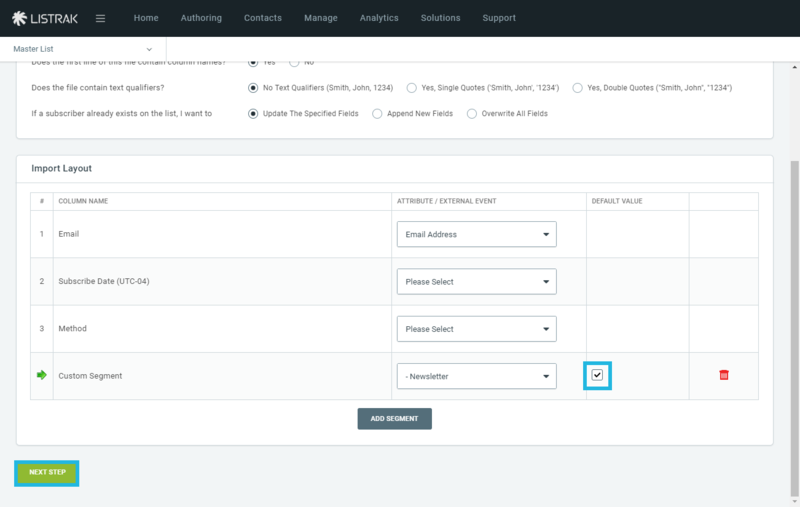 You will need, at minimum, the Email field since this is the unique identifier in Listrak. 7. On the same screen, you can create a checkbox field to identify only these imported contacts. Do so by clicking Add Segment. 8. 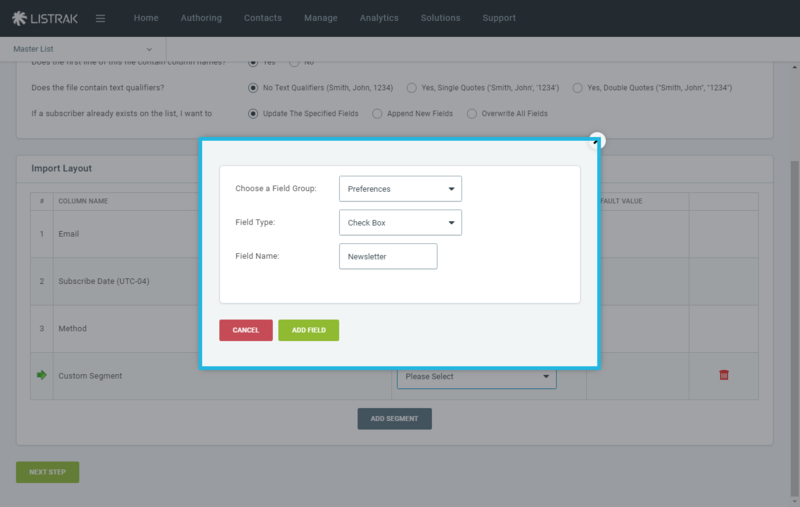 Then select Add Segment Field from the drop-down menu. 9. 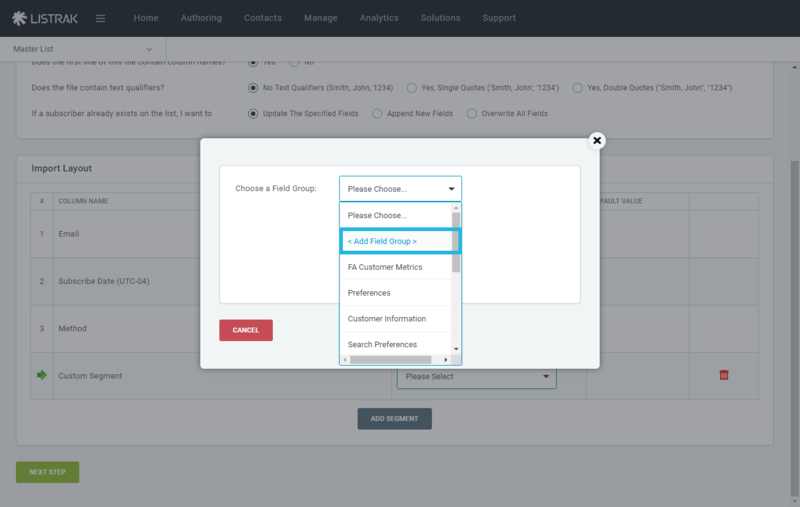 Select Add Field Group from the next drop-down menu. 10. Enter a New Field Group Name. We'll call ours "Preferences." 11. Select the Field Type. We'll select the Checkbox option. 12. Enter a Field Name. We'll call ours "Newsletter." 14. Click Next Step. Once imported, these contacts will have new segment data with a checkbox. 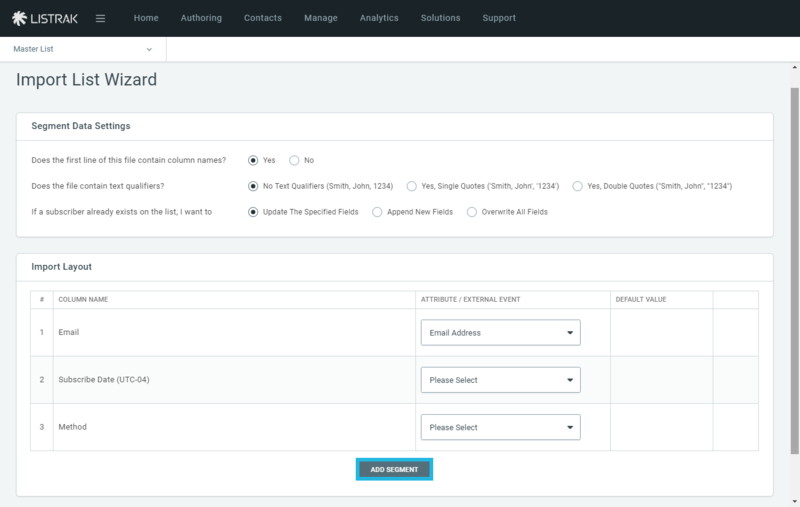 Each contact on the imported list will now have a checkbox next to the "Newsletter" segment. This gives you the ability to target these people when sending a message. You can simply filter by that segment.